I couldn’t help but write what I have just started. And it is simply because as I have read and learnt, public relations is not about lying, defending the indefensible or responding to questions when you know deep down that you do not have the answers or the facts. As a lecturer in Public Relations/ Advertising (I am not sure if he still does), Mr. Kofi Amponsah Bediako more than anyone else should know that and better. Why this advice and at this time? Because, I think his style of PR/ Communication is dangerous, does his employer (government) no good and damages his own reputation. 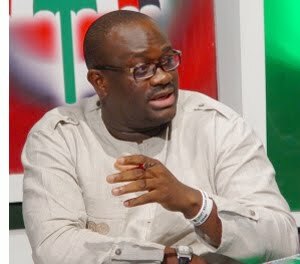 Ever since he was contracted to join the government’s media team, Mr. Amponsah has on more than one occasion got me asking myself about his suitability for the job, and that is simply because he exhibits that rather disappointing communication strategy of just talking & stringing words together, at the end of which you do not convince your audience, let alone yourself. Mr. Amponsah Bediako who started as an assistant government spokesperson and is now a government spokesperson on social services has through his answering of questions about the social service sector not convinced me and I dare say many others that he is on top of his act. Professor Badu Akosa & the GHSThe PR lecturer’s latest PR goof, which I’ll prefer to label a blatant lie and a penchant to answer questions from the press even when he does not have the facts, was an interview with Accra radio station Citi 97.3 FM about the status of the Director General- Ghana Health Service. Days before he was called about the above, a press statement announcing the President’s appointment of Dr. Elias Sory of the Northern Regional Health Directorate had been circulated and actually read out on Ghana Television the very night it was released. Clearly misleading the reputable radio station which took his word as government spokesperson to be true, Mr. Amponsah Bediako lied to millions of listeners, because at the time he was saying this, a new DG had been appointed. He went further to cast a slur on the reputation of the former DG, Professor Agyeman Badu Akosa by his claim that government decided not to re-engage him for another term. At least those who have been following the news, might have heard or read that the Professor indicated many months ago that he will be going back to the lecture hall or something to that effect, and some of us concluded it may be to have time to pursue his rumoured presidential ambition. Some patriotic listeners had to send text messages to the radio station informing them that a new person had already been announced. Can Mr. Amponsah Bediako be described as someone really on top of his job? And did he have to agree to be interviewed when he knew he did not have the facts? Strangely, a couple of hours later, when he had probably read the news of the appointment in the newspapers he was on another radio station (JoyFM) telling Ghanaians about the personality of the new DG, without an apology to listeners for misleading them. This is not the only example of the government spokesperson’s dissemination of false information and the lack of facts. Not too long ago when I was Executive Producer of JoyFM’s high flying, popular, credible & referenced Morning program, Mr. Amponsah Bediako debated the opposition NDC’s Elvis Afiyie Ankrah on government’s achievements in the agriculture sector on the program. And his performance can best be described as disappointing. He not only distorted facts, he made false claims, lacked facts & figures and made a hero out of the relatively younger Elvis because he had more facts about government’s activities than the spokesperson. Unable to sit back and listen to such weird defence of the government’s record and embarrassment, the then Agriculture minister Courage Quashigah called into the program to correct the misrepresentations and actually agreed with the facts as put out by the NDC’s Elvis. For those who know Major (Rtd) Quashigah, you’ll realise that ‘jumping’ and ‘running’ to radio stations are not his trademarks at all; hence you can appreciate why he’ll call into a program. How did that happen? Mr. Amponsah Bediako was obviously speaking English without facts, and when he tried to state what was supposed to be the government’s policies, it was disaster because he did not know but thought he could just say anything and go scot-free. ECG Prepaid meters I have not listed what I consider to be my former lecturer’s unconvincing answers and rationalisations during his many radio & TV stations. But my first encounter with his ‘lies’ & ‘I am just saying something’ attitude was in the early days of his appointment. I was reading the news at 6pm on JoyFM and among the stories was one about prepaid ECG meter users complaining about the cost per unit of electricity after an upward adjustment in tariffs. One of our reporters had followed up and interviewed some of the complainants at the ECG vending point opposite the Accra Girls Secondary School. Just after I read the headlines to the bulletin, one of my colleagues rushed to the studio to announce that Mr. Amponsah Bediako called and wants to react to the story. I was shocked. “React? To the headline?” was what I remember asking. While playing an insert I went back to the newsroom and asked that he should be told to listen to the main story and get ready for an interview when I am done with the bulletin. When I called him after the news, my former lecturer said there was no basis for the complaints. But what shocked me most was his declaration that government has infact decided to discontinue the prepaid metering system. I challenged him and questioned why a system that will rather end the unwarranted huge debts owed the ECG by post paid customers be stopped. I also reminded him that I am aware that government and indeed the ECG is hoping to effectively have an all round prepaid metering system, as an effective upfront revenue generating and collecting mechanism. It was also a good system in controlling energy use. The assistant government spokesperson was adamant. Surprised as I was and the journalist that I am, my story for the next morning focussed on the announcement that government was going to phase out the prepaid system. The news shocked the ECG & then Energy minister Albert Kan Dapaah. My follow-up enquiries indicated that the claim was false. Called, confronted and challenged by the ECG and the Energy ministry, Mr. Amponsah Bediako rather chose to put the blame on me, a poor journalist. He told the officials concerned that he did not say what was attributed to him, and this was in spite of the fact that I played his voice explaining why the decision. But he insisted that it had been altered. Mr. Amponsah Bediako went further to call JoyFM’s News Editor Albert Kofi Owusu to complain about my unprofessional conduct and misquoting and altering what he had said to me. As the pressure piled up, Mr. Owusu who was out of the office on that day, insisted that I apologise to the assistant government spokesperson who had convinced him that I was simply been diabolical. Off course I disagreed and maintained that Mr. Amponsah Bediako and no other person is the one who owed the ECG, the ministry and Ghanaians an apology. When the pressure from the News Editor became unbearable and in order to prove that JoyFM and myself did nothing wrong, I went to the studio at 5pm with the full recording of my interview with the assistant government spokesperson. The interview was played back in full, including the parts where I challenged his claim with verifiable facts. Embarrassed and exposed, Mr. Amponsah Bediako called shortly after the news, not to apologise to me and JoyFM, but to request another interview to explain himself. Clearly, he had lied about something he knew nothing about, and that has and continue to run through his attempts to speak to issues. Remember some of his pronouncements on the health workers’ concerns in the past? My advice is that, speaking on behalf of government is a very honourable function and requires the highest of standards from the persons playing that role. "Public relations" is simply accurate, consistent and timely communications that convey the right message to the right audience. Wow!! Guess who wrote this!! !